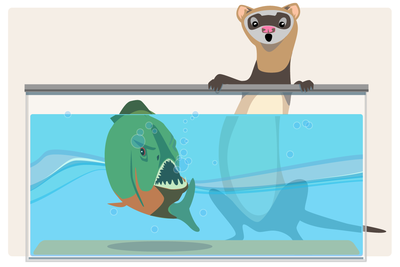 A trip to the veterinarian was required after a ferret made an unfortunate decision. URBANA, Ill. — Working with exotic animals in the Small Animal Clinic involves a lot of thinking on my feet. Each type of animal comes with unique needs and challenges. Parrots often have nutritional deficiencies and, like humans, can develop atherosclerosis – the result of a poor diet and too much sedentary time. (We sometimes refer to them as “perch potatoes.”) Reptiles and mammals tend to develop fungal infections on their skin. 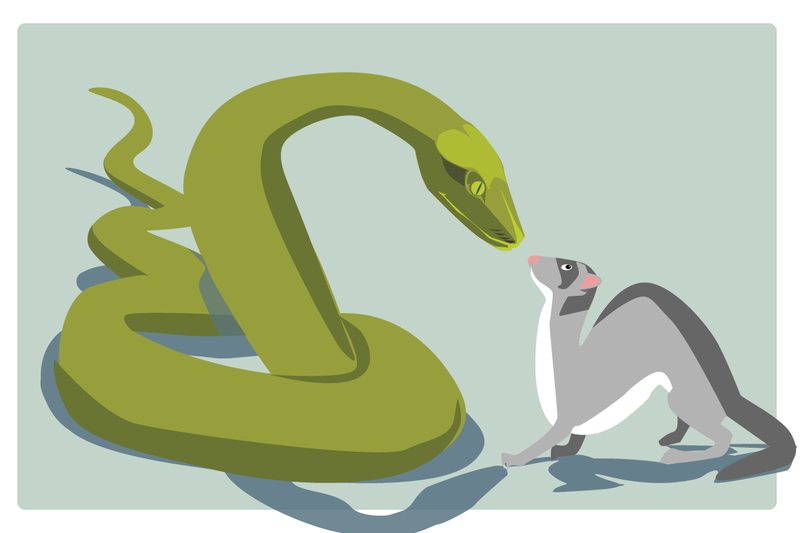 Birds, snakes and mammals need stimulation and like to explore – with sometimes tragic results. People who own more than one exotic animal should probably keep them apart, especially if one of the pets is a python. A ferret from another household got his tongue bit by a piranha and I had to stitch it back together. The ferret had been trying to drink out of the fish tank. It worked out OK for this ferret, luckily, but that is the type of excitement we see here on occasion. Sometimes, the animals don’t like being here or disagree with what we’re doing and react defensively. Very early in my career, someone brought in an iguana in a cardboard box. I put the box on the exam table and pried it open just a little bit to peek inside. Like a green bolt of lightning, the iguana shot out, took a stop on my head and leaped to the floor. He ran around the office, swinging his tail in all directions. The tail wedged under the wheels of my chair and snapped clean off. What a lot of people don’t realize is that a lizard’s tail is designed to distract a predator. So, this tail was just jumping and writhing around on the floor. The iguana now sat smugly in one corner, watching us watch the tail. All of this happened over the course of about three seconds. I looked up at the owners and their mouths were wide open, astonished. 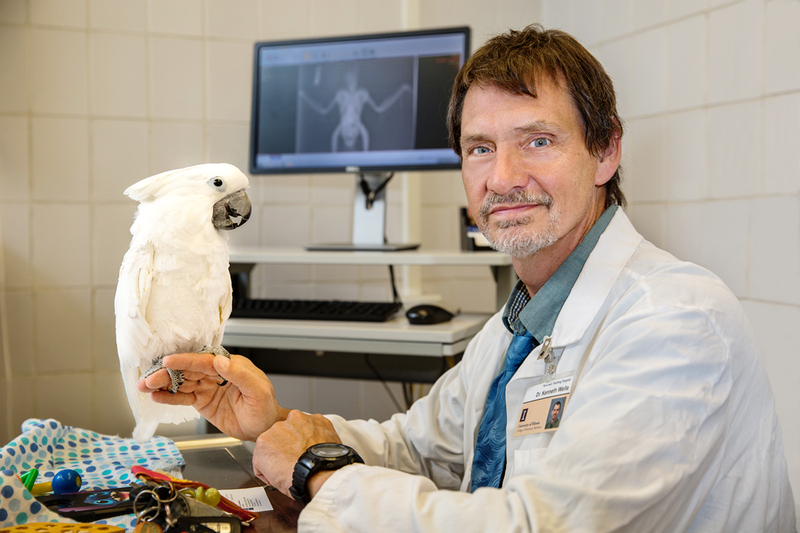 Dr. Kenneth Welle sees a lot of birds in his exotic animals practice at the College of Veterinary Medicine Small Animal Clinic. People who own exotic pets will sometimes misinterpret their animal’s problem, so what shows up in an appointment is not at all what we’re expecting. 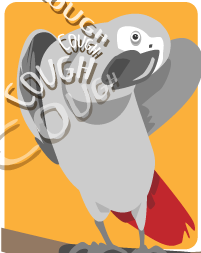 For example, there was an African parrot that came in specifically for coughing. While giving me the bird’s history, the owner coughed – a lot. Finally, the bird let out some of these same coughs – they sounded exactly like the owner’s. A bird cough doesn’t sound like a human cough, so I knew immediately that this was nothing more than mimicry of what the human was doing. 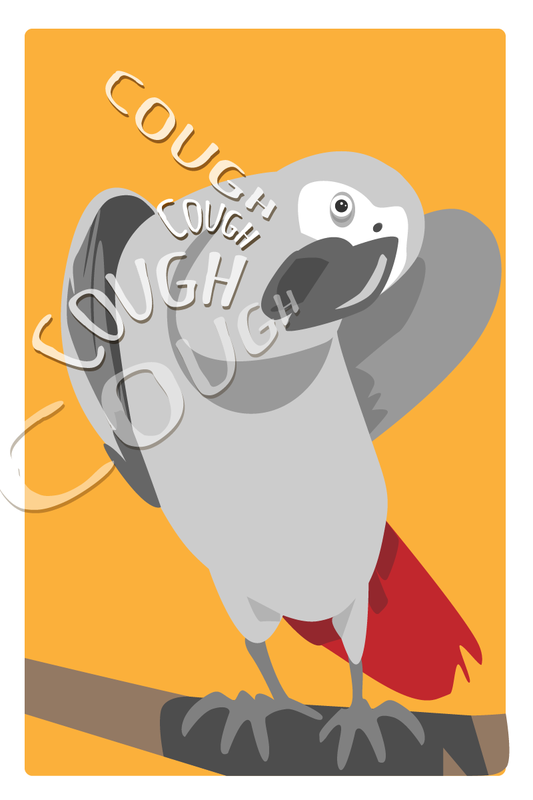 Parrot coughs are not like human coughs. As these stories illustrate, there are a lot of challenges and difficulties associated with exotic animal veterinary care. The cases are more advanced when they get to us, and we have more mortality than in standard companion animals. These experiences stand out because they force me out of conventional thinking and remind me of the unique nature of each species and individual.